Mr. Gogawale (“mountain man”) resting on Mt. Kamalgad. He is the care-taker of a temple on this mountain and earns his living by playing host to trekkers. He also acts as a guide. The 81-year old gentleman has the stamina of an 18-year old! 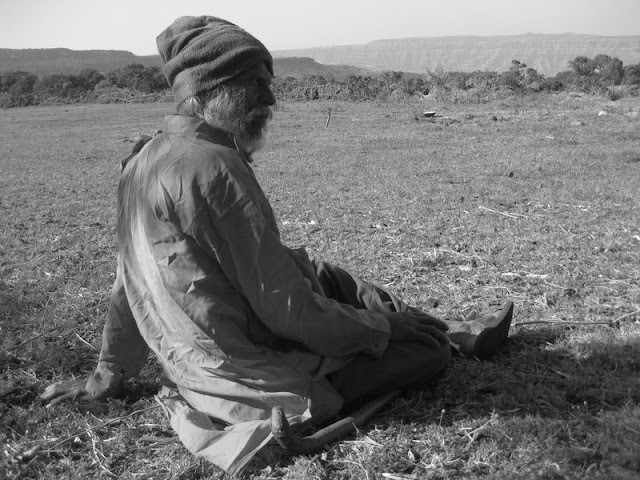 Mr. Gogawale held a Masters degree and had spent a majority of his life in the mountains. His love and passion for nature was awesome! His biggest fear was the densely forested plateau of Koleshwar becoming “New Mahabaleshwar”, which well-funded developers are currently fighting for with the under-funded environmentalists. It’s only a matter of time until it is gone.